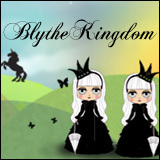 There are some Blythes that I knew would be very much loved in my doll family before I even got them. But there were two that were a bit more unexpected and I hadn’t thought that they would become favourites too. That isn’t to say that I didn’t like them before I got them, but I hadn’t expected to like them as much as I do currently. The one that some might be surprised at is Eden Mouse. I didn’t think I was going to getting Punkaholic People (she had been a gift from my parents) and while I had genuinely liked her, her personality didn’t come out really until I popped a pink mouse hat and started dressing her in pink all the time. And then it was like bam, her personality shone. A little doll with a hair cut that was very similar to what I had as a child. She wears pink everything, has tea parties and a little dolly of her own. She even has a pink-pink-pink carry bag that only she uses. But Eden was still unexpected. As a gift, I’m inclined to never sell her, but it was a pleasant surprise to find that I really do love her. She has a big personality that took some coaxing out. Turns out all I had to do was dress her all in pink and her voice comes out. The second that came to a bit of a surprise was Primrose, who was featured earlier this year when I posted about her restoration story. Primrose was one of the Vancouver Seven Kenners who had been ‘rescued’ from a secondhand toy shop in the Metro Vancouver area. She had no legs, a cracked pelvis and the frizziest hair that I had ever seen (in person and in photos) of a Kenner. I thought she was lovely (and cute!) in photos before I got her, and I said a dibs on her so I could have first crack at purchasing her. Then the moment I saw her? I was fully taken in by her. It was a mix between the wonky eyelashes that she had, pretty pink lips, actual original blush (!) 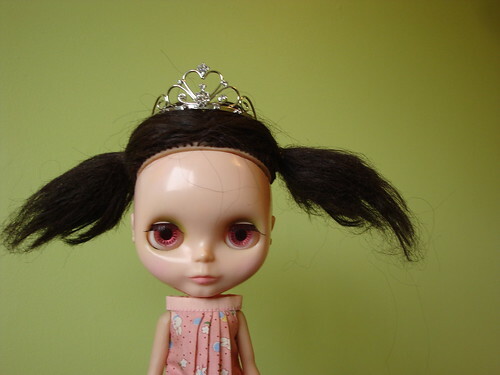 and her head of frizzy hair. Princess Prim went straight into my heart and took residence there and popped a crown onto her own head and proclaimed herself majesty of the realm around here. 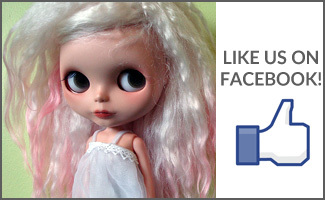 Which of your dolls (if any) surprised you by how much you’d like them? 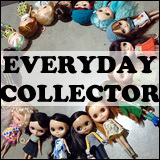 Question of the Week: How old are your dolls? Of all my dolls, Charlotte (Natasha Moore) was the only one I didn’t plan to purchase. All the others were cyber stalked and debated over until I couldn’t resist any longer and finally ordered them. But Charlotte was never on my wish list. 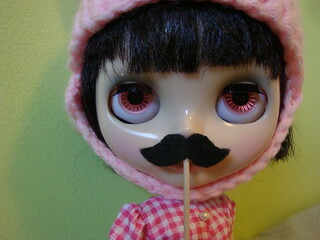 Then I saw her being rehomed for cheap by someone on This is Blythe and she just clicked. When I received her I immediately fell head over heels and she still remains my favorite dolly (shhh.don’t tell the others!) even though I have other, more rare girls. Something about her hair and her mischievous little smile…stock photos definitely do not do her justice! My custom, Hana was in pieces for so long, and I dreaded the way she would turn out…I have to say, none of my girls get much camera time or personal wardrobe, etc, but even still I feel like I am ‘close’ to Hana. The other that surprised me was my Rosie Red. I was searching for a Kozy, bought RR instead and was so worried that I would regret that decision. I didn’t at all! She is one of my absolute favorite dollies!